Last week as part of an early Christmas celebration me and a few friends visited Jenko's Mongolian Barbecue Restuarant in Ketley. Having never visited before I had no idea how it worked other than it would be an all you can eat buffet of meats and vegetables. 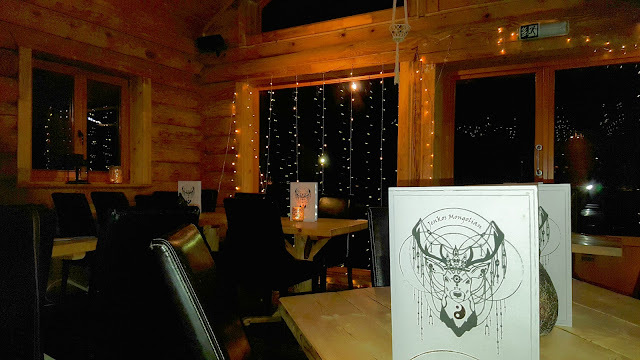 The whole atmosphere of the restaurant was incredibly cosy with a log cabin feel, comfy chairs and fairy lights strung up everywhere - this made me instantly love the place. To start with to drink I had a frozen bubblegum flavoured daquiri (sadly there's no photo) but the drink was massive! I don't think I have ever had a daquiri that big it was well worth the usual cocktail price. They had some very different flavoured cocktails that I would love to go back and try - the drink menu was definitely unique. Now for the important part the food! There was such a wide range of meats, vegetables, spices, herbs and sauces. How it worked is you would choose all the meats, vegetables, spices and sauces that you would like and put them all together in a bowl. 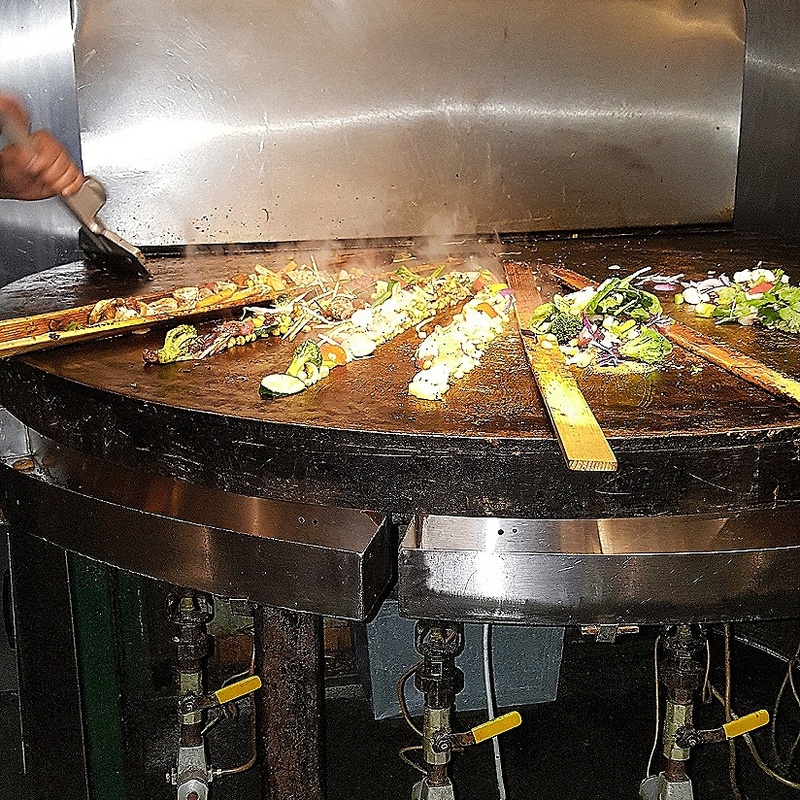 You would then queue up and have the food cooked in front of you on a giant grill type plate. This does not take long and is a very interesting process to watch. You then added the carb of your choice from pasta, rice and noodles. 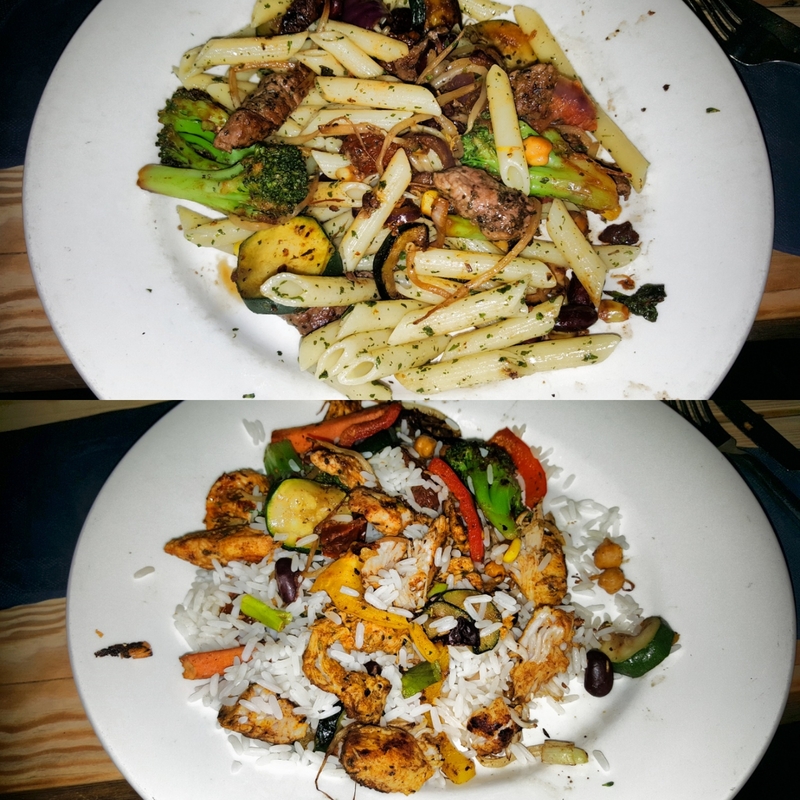 I had chicken tikka to start with peppers, courgettes, onions, carrots, broccoli, beansprouts, chickpeas, and kidney beans. I added cumin and tikka spices and rice. Then as it was an all you can eat buffet I went back up and had exactly the same vegetables (predictable) but with beef, pasta and I added soy sauce to my dish. 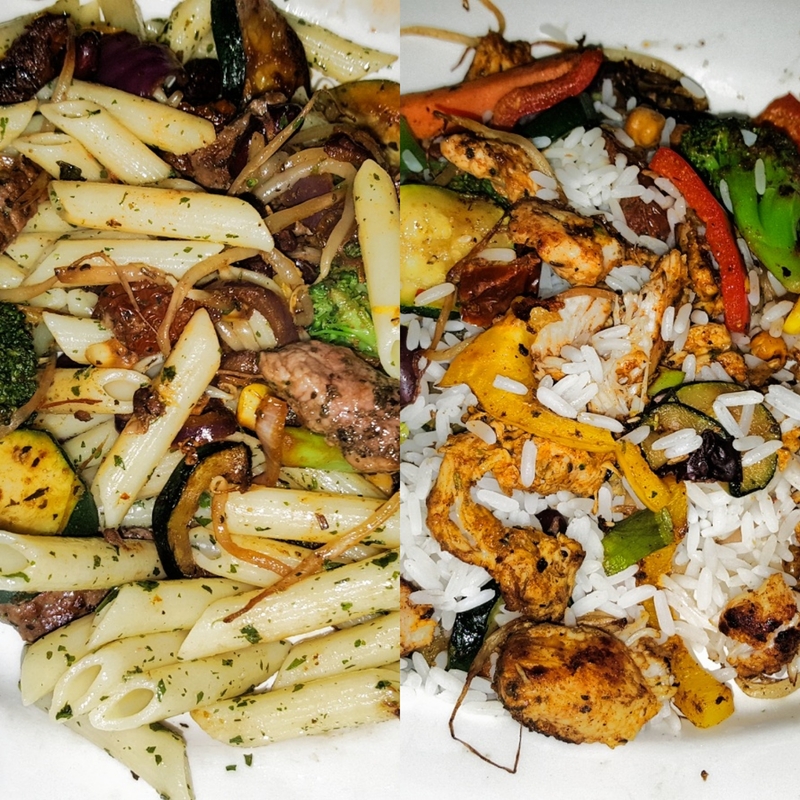 Both were cooked perfectly and tasted amazing - thankfully as I was throwing in those spices as if they were going out of fashion. The food definitely got a big thumbs up from me and the cooking of it just added to the experience. It was £17.50 for the buffet but that was definitely well worth it as it was all you can eat. I would definitely recommend Jenko's and will be heading back myself for more food and cocktails.